Pursuing the entrepreneurial dream of small business ownership is a challenging but rewarding endeavor, particularly in the veterinary industry. Inevitably, there will be speed bumps along the path to success, not the least of which is attracting new clients. One of the best ways to gain the attention of potential customers is to capitalize on new movers. Successfully implementing new-mover marketing campaigns can make a notable difference in a veterinary clinic’s long-term success. New-mover marketing professionals partner with local businesses to create an enticing welcome package for new movers. 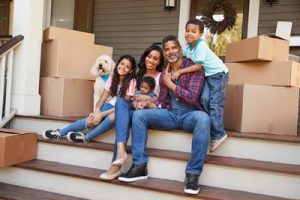 As a family settles into a new home, they will find a convenient collection of special offers delivered right to their door that encourage the family to patronize local businesses. Even in today’s increasingly technological world, marketing offers for new movers that are delivered directly to mailboxes consistently outperform email and mobile offers. More than 40 million Americans will move this year alone, and one in three renters move at least once each year. Today’s economy is quite robust—meaning companies are hiring and people are frequently moving to pursue new job opportunities. Boomerang buyers also are coming out in full force. Those who may have had to foreclose on their homes during the Great Recession have had the chance to rebuild their credit. Now that they’ve regained their footing, those buyers are ready to purchase a home once again. As consumers gain confidence in the job market, their discretionary spending increases. Families have more money to spend on non-necessities, including pet ownership. In years past, every spare penny was devoted to making ends meet; however, in today’s economy, many families find themselves ready to adopt new pets. In the veterinary industry, each new client can be worth thousands, or even tens of thousands, of dollars long term. Once a customer is established, it’s likely she will continue to bring her pets back to that same clinic for years to come. Many pet owners will have several pets, either simultaneously or over the course of their lifetime, further increasing the earning potential for the clinic. This means each new customer acquired has the potential to bring a tremendous amount of revenue to the clinic. Baxter Veterinary Clinic located in Fort Mills, S.C., has seen this long-term payoff firsthand. Co-owner and operator, Kelly Baete, DVM, has used professional new-mover marketing campaigns since first opening her practice in 2011. Currently, Dr. Baete is offering new residents a complimentary pet exam, valued between $45 and $65, depending on the pet. While that initial visit may be free or discounted, the program can easily pay for itself with just one new loyal customer. According to the 2017-2018 National Pet Owners Survey conducted by the American Pet Products Association (APPA), families will spend an average of $731 on veterinary bills for dogs and $427 for cats each year. Beyond annual checkups, surgeries, and teeth cleanings, many customers will use such services as grooming or boarding, depending on what the clinic offers. Upsells from this additional business that might include food, treats, shampoo, supplements, and further increase the income potential from a single new customer. Pets are an integral part of many family units. According to APPA, 68 percent of households in the U.S. include a pet, translating to roughly 85 million families. Many of those families are looking for a veterinary clinic that will provide quality care for their companion at a reasonable rate. Through new-mover marketing, veterinary clinics can provide those potential customers with a starting point for their search. When it comes to pursuing new business, movers are an ideal target. Families new to the neighborhood are easier to reach than families who have an established presence in the community. This is because the new family has no loyalty to any local businesses. As a family settles in, they will have to find staple businesses in their new community, including a grocery store, a doctor’s office, and a veterinary clinic, to name a few. Finding a well-respected veterinarian is one of the top priorities for families with pets. By reaching those new movers right away, veterinary clinics will immediately establish credibility, build brand awareness, and generate an all-too critical competitive advantage. This can prove to be vital as new movers are one of the few target audiences in a predictable state of transition. Establishing first contact with a family can be crucial. It’s ideal to get your brand noticed before the family even has a chance to interact with your competition. It is much easier to attract a brand-new customer to your business than it is to pull one away from a competitor. However, if your offer isn’t interesting or lacks value, likely the customer will toss the offer aside and consider your competitor instead. Both the timing and quality of the offer matter tremendously when appealing to new movers. The key to implementing a successful new-mover marketing campaign is the offer. It’s imperative to entice new customers to visit your location through something of value. Customers can see through a cheap incentive and will be turned off by a proposition that comes with hidden fees. If customers see an opportunity for a quality discount, they are far more likely to give your clinic a chance. That initial trial is extremely desirable because getting clients in the door is often the hardest part of expanding a business. Present customers with something that catches their interest, offers an incentive to visit your clinic, and makes them feel welcome in their new neighborhood. This offer works to define your clinic’s first impression. As the old saying goes, you only have one chance to make a good first impression, so make it count. On the other hand, clinics should be prepared to honor their offer. Jason Little Road Animal Clinic in Arlington, Texas, understands the importance of an incentivizing offer. Office manager Refa Meinholdt stands behind the clinic’s offer of a free exam, which is valued at $49. Typically, Jason Little Road Animal Clinic sees one to three new clients taking advantage of this offer each month. Frequently, that new customer will turn into a life-long customer worth approximately $4,000. With professional help, a targeted proposal will do very well in attracting new business. An eye-catching, aesthetically-pleasing offer paired with a personalized, meaningful deal is best. Some clinics even opt for no expiration date on the offer. In the chaos of moving, a potential customer might not have time to schedule a vet appointment right away, but when the time comes, they will know where to go. Beyond the impact of the lone new customer, new-mover marketing can lead to a world of opportunities. When a family establishes their place in the community, the potential for word-of-mouth advertising increases as well. As that family makes friends, they may tell fellow pet owners about the quality service they’ve received at a certain clinic, thus potentially reaching additional new clients. Finally, new mover marketing is a simple, cost-effective way to get your brand out there and in front of impressionable potential customers. For many movers, the transition is a time of uncertainty, and there is something incredibly personal about receiving a piece of mail welcoming you to the neighborhood. Through a simple offer, your business can make a difference in that family’s life—while ultimately improving your bottom line. Michael Plummer, Jr. is president and CEO of Our Town America. A U.S. Army veteran and certified franchise executive, he has more than 20 years of experience working as a senior-level franchise executive and IT professional in the direct marketing industry. For more than 45 years, Our Town America has been providing new movers with traditional hospitality by mailing warm housewarming gifts from local neighborhood businesses in a premium welcome package.